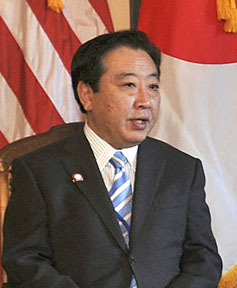 Naoto Kan, Japan’s prime minister, resigned after having been in the post for nearly 15 months. A new prime minster, Yoshihiko Noda, has replaced him. Noda is Japan’s sixth prime minister in the last 5 years. Kan stepped down because people were unhappy with his handling of the situation after the March 11 earthquake and tsunami, and the nuclear power plant disaster that followed. The nation was devastated after the triple disasters that killed over 15,000 people and destroyed over 100,000 buildings. An earthquake of magnitude 9.0 on the Richter scale struck off the north-east coast of the country. It was the largest recorded in Japan and the fourth largest recorded in the world since 1900 (when earthquakes started being measured). The earthquake pushed the sea floor up, causing a large amount of water to be displaced. The water displacement triggered a massive tsunami. Monstrous waves hit the coastal towns near where the earthquake had struck, causing wide spread destruction. The tsunami damaged some equipment at the Fukushima nuclear power plant. The damage in the nuclear power plant caused some high level radiation leaks, which can be dangerous to humans. About 80,000 people were moved out of the disaster areas. Now, six months later, many of these people are still living in temporary housing. Small amounts of radiation are still leaking at the Fukushima nuclear plant. Kan’s government was blamed for not responding fast enough to the disasters and for not realizing how serious the situation was. Kan lost popularity as a leader. Talking about disasters, parts of central and western Japan were struck by a typhoon earlier this month. 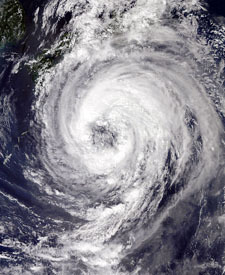 Typhoon Talas brought heavy rain and strong winds. The storm killed about 50 people, and caused flooding, damaged bridges, and destroyed houses. A rescue effort has been going on to help the people affected by the storm. People all around the world today are entertained by Japanese creations such as Pokemon, Hello Kitty, Nintendo DS, Wii, Tamagotchi pets, Manga (Japanese comic books), and animated Japanese films. Japan is a very hi-tech nation. The country has robots that make sushi, plant rice, serve as receptionists, vacuum office corridors, spoon-feed the elderly, and babysit kids. A drink vending machine that is becoming popular in the country studies the face of the customer. The machine then determines the age and gender of the person, and based on that offers drink recommendations.